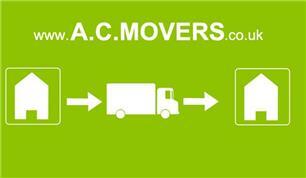 A C Movers - Removals/Storage based in Yarm, Teesside . Anywhere in the UK, Middlesbrough, Newton Aycliffe, Northallerton, Yarm King's Lynn. London Cornwall Scotland. We cover all the UK.